The school year starts in two weeks and I’m in overdrive, but I have to pause and fulfill my civic duty. Yep, that’s right. Jury duty calls! This is the fourth time I’ve ever been on jury duty, and the second time in two years. Lest you think I am a star juror, banish that thought from your mind. That’s not it. I must have some kind of force that emits rays to jury selection people. Otherwise, my popularity makes no sense. Years ago, I was called to a six-week jury trial at the beginning of summer. They took four days to make a selection, and the whole time I was really worried that I would lose my entire summer vacation to our justice system. Thanks to the powers above, I wasn’t selected and my summer remained intact. But close call! Kenny was also called to jury duty a few weeks ago, and he was so excited. Unlike me, he’s never served before, so it was a novelty for him. He went very happily and waited to be called, and…nope. They dismissed him around noon. But he can feel good that he’s off the hook for another few years. Maybe. Whenever I have jury duty, snacks are important. They keep me cheerful during the monotonous hours of waiting for something to happen. The thing is, though, the snacks have to be easily packed. That’s where these bars come into play! The bottom and top are made of the same crumbly oat mix (gluten-free, of course). I like to double up on the raspberry jam by first spreading some over the bottom layer, pouring in the cheesecake filling, and then dolloping some more on top, swirling it with a knife. And on top? Those miraculous crumbs! I might have to do my civic duty for the umpteenth time in my relatively young life, but I’ll do it happily as long as I’m kept fortified. 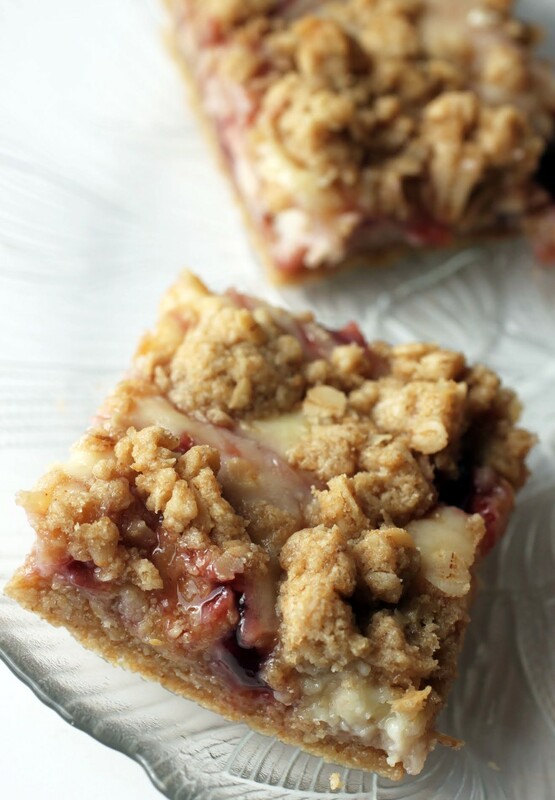 These raspberry cheesecake crumb bars should do the trick! In a large bowl, combine the oats, oat flour, brown sugar and salt. Add the melted butter and mix until crumbly. Set aside about 1/2 to 3/4 cup of the mixture. Take the remaining crumb mixture and press it firmly into the prepared pan. Spread the 1/2 of the raspberry jam over the bottom layer. In a medium bowl, make the filling. Combine the cream cheese, egg and sugar, mixing well until smooth. A fully softened cream cheese is ideal (I leave mine on the counter for an hour) to prevent a lumpy batter. Pour the cheesecake filling over the bottom layer. 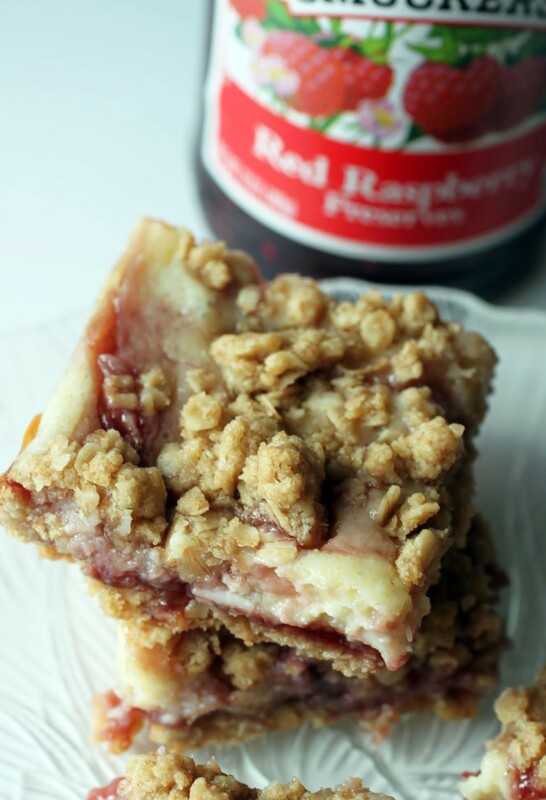 Take the remaining raspberry jam and spoon it onto the filling in even intervals. Use a knife to gently swirl the jam into the cheesecake filling. Crumble the remaining oat mixture over the filling layer evenly. Bake for 20-25 minutes until golden. Cool completely. Chill overnight. Mashups are pretty much the best! 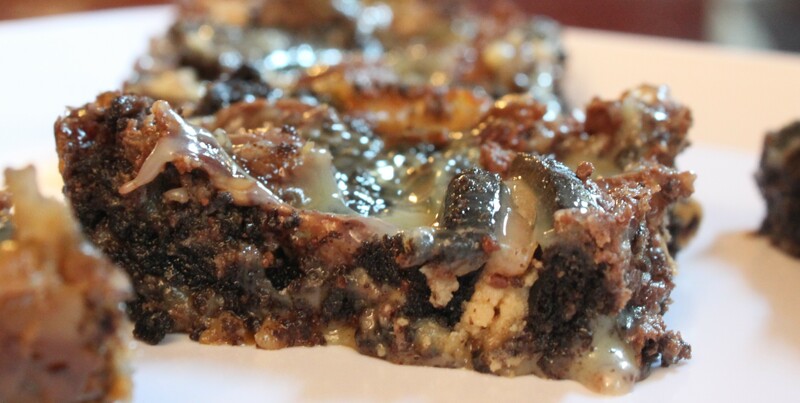 And you really can’t go wrong with crumb bars AND cheesecake! I could just eat that topping with a spoon! Sounds so good, Mir! The topping is definitely my favorite part. Thanks, Gayle! I’ve been on a bar kick recently! I may have to try these next! I love the oat topping and cheesecake addition – perfection! Jury Duty can be fun, depending on the situation. But I’m glad I’ve served my turn for now! Yum, these look so delicious and could be a great addition to lunch boxes in September! Thanks, Karen. I’m definitely packing them for lunches now! Good luck with the selection, Mir – I hope you get a portion of the last couple of weeks of summer to enjoy yourself and squeeze in some R&R before school is back ins ession – after your civic duty! These bars sound fantastic BTW. 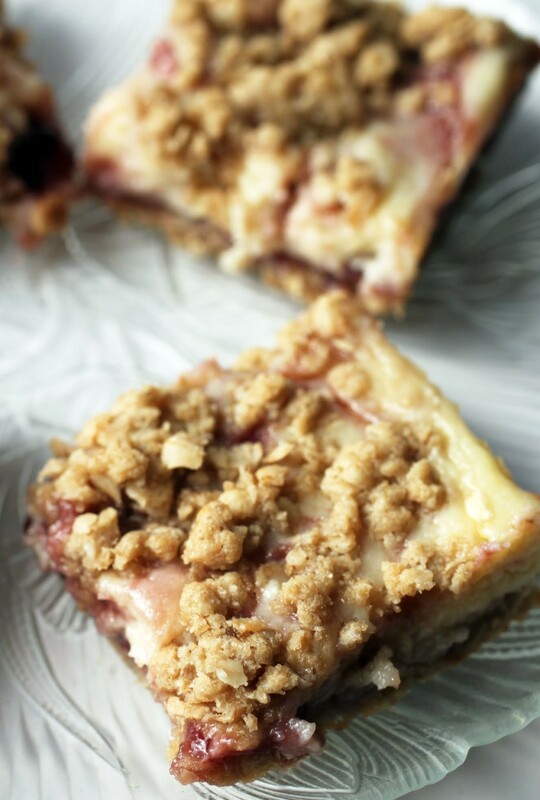 I ADORE raspberry crumb bars, but, raspberry crumb bars with cheesecake filling have me swooning! Am thinking those jury selection folks must love smelling the goodies you bring in – that’s why you keep getting on the roster 🙂 Happy Monday to ya! Shockingly I’ve never had jury duty. Okay, I lie. I was called upon once, but I had moved to a new county, so I didn’t have to attend. 🙂 I definitely won’t be excited like your hubby if I get called upon.. I’ve heard it’s nothing but a bunch of waiting around and this girl has ZERO patience. Anyways, you TOTALLY have my attention with these bars, Mir! I mean you ARE the bar queen! 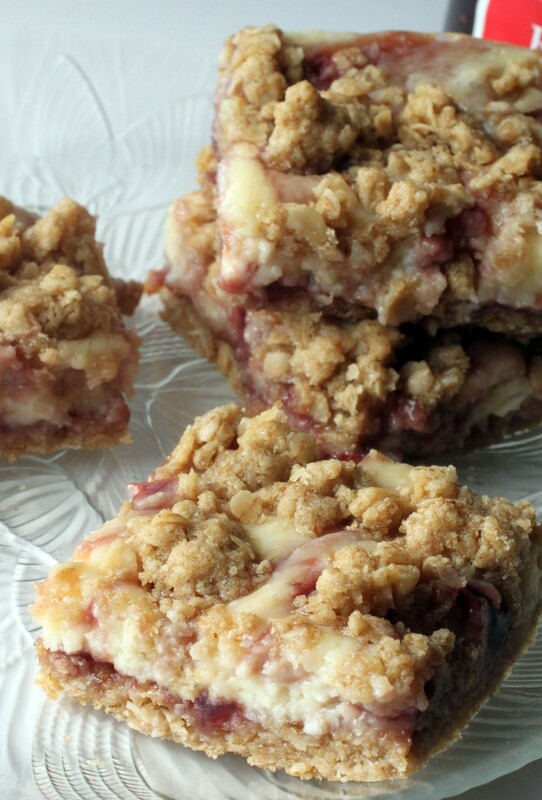 Love raspberry crumb bars, but you’ve taken them over the top with that cheesecake filling! Drool fest over here! 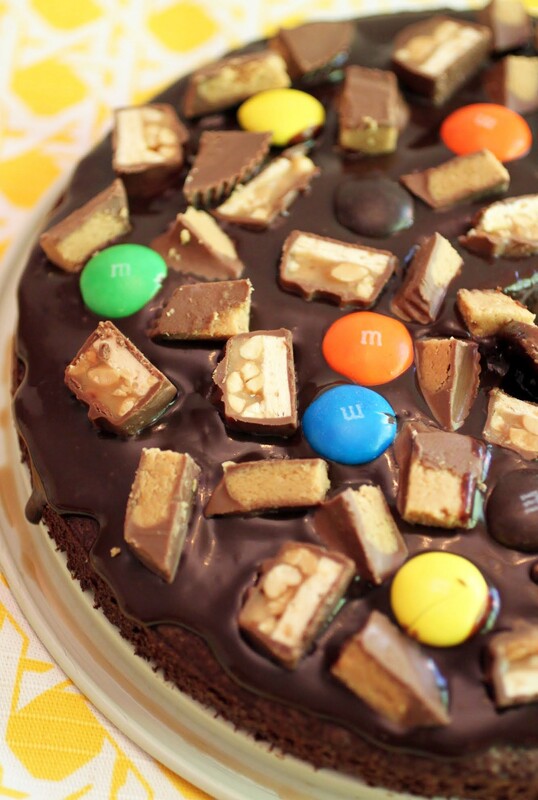 I NEED this in my life! Pinned! Cheers! They’ll get you sooner or later, Chey! And you’ll probably enjoy it. It can be very interesting. And thanks! You know how I love the bars! I want these for breakfast, lunch, and dinner! They look so yummy! 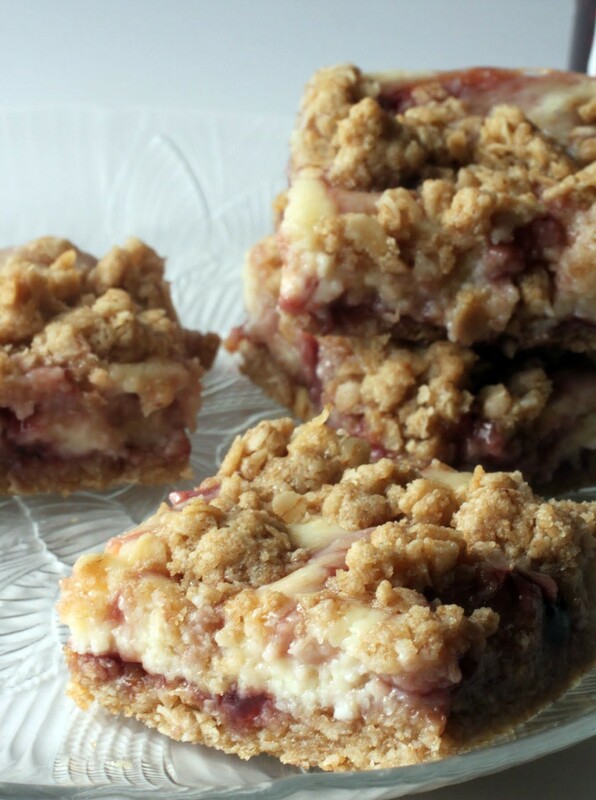 They sound delicious , cheesecake filling and crumb topping is always a good idea! Also, I’m with ya on the jury duty thing. I guess I don’t mind doing my civic duty, but it’s a huge waste of time when you don’t get selected. I’ve been called a couple of times, but never selected. In fact, I got called for the week after Robbie was born, but I was able to delay it. I’m guessing it’ll show up in my mailbox again soon here. I can’t edit pics when I’m hungry, so I’m with ya. 😉 And they’ll be summoning you soon, probably. They don’t forget! Yep, like Kenny, I was excited the first time I was called and disappointed when they ended up not needing me. Haven’t been called again since, but – these bars definitely would have come in handy as I was sitting and waiting and sitting some more to hear my fate… Delicious, my friend!! They pick so few people, but I know enough people who have been selected that I know it happens! A mashup trend I just can’t take part in is dessert bacon. I only eat turkey bacon, but still, I don’t want it on my cupcake or chocolate bar. Shudder. 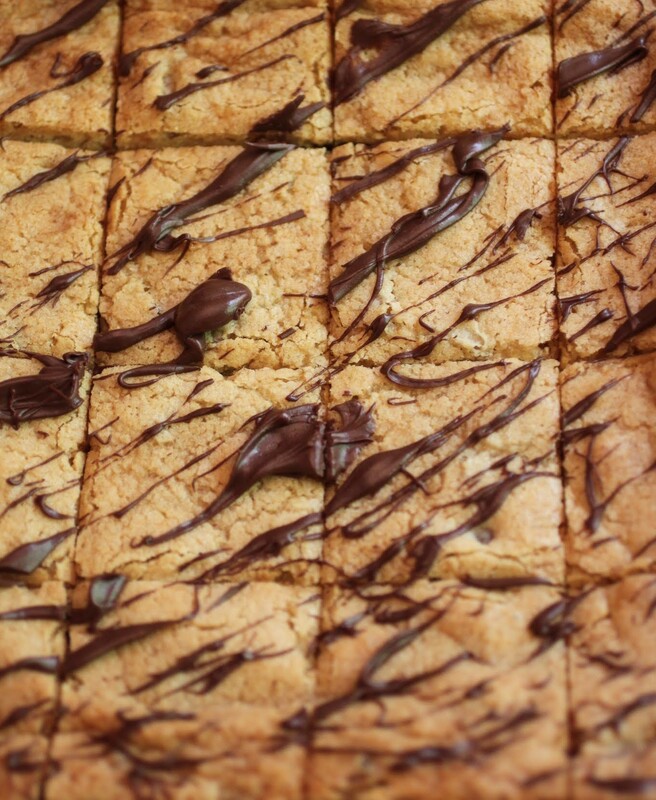 Cheesecake and crumb bars, on the other hand, I am on board with 100%! These look delicious, Mir. Just the thing to eat while waiting for jury duty or with my morning coffee! Agreed. I’ve never really eaten bacon, and even the kind I can eat (turkey) is not appealing. So I don’t want it in dessert!